Well hello everyone! Today just makes me happy. Why? Well just look at this line. The colors alone make me happy! 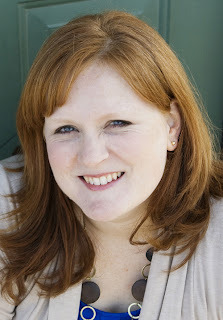 I am just tickled to be reviewing Lily Bee Design's Buttercup line. If you are a long time reader you know that I chose this line in my top ten (read here). So here we go!! -I absolutely love the color palette. It can go either boy or girl. Love it! -The stamps. I loved them. They high quality stamps that give a good clear image! -I love the tiny alpha stickers. You get 8 complete alphabet stickers on one sheet! They are super versatile too!! -Not a thing. It's why it's on my top ten list! Available Online: Coming Soon to a retailer near you! Bottom Line: I loved it. All of it. 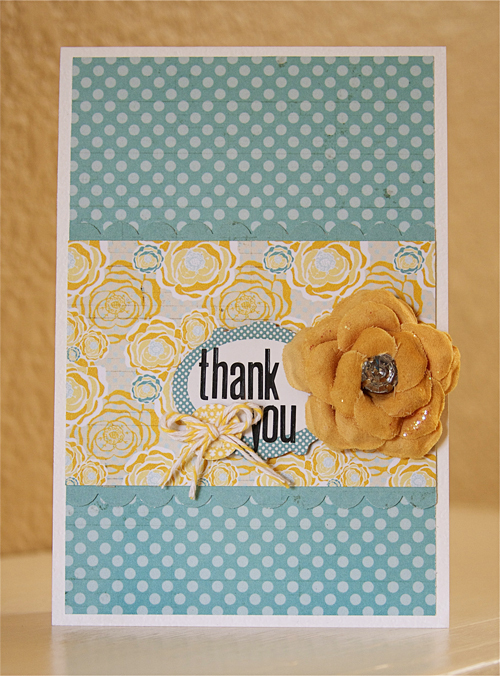 The color palette is fabulous, the stamps ROCK and all in all, just a fabulous line. What do you think? Is this a line you love? Or are you just ok with it. Leave a comment by midnight PST on Thursday to be entered to win a prize pack! U.S residents only and don't forget to leave your email address so I can contact you! I love the colors in this collection too! It seems like a great line for scrapbook pages and cards -- and those alphas are just awesome! I agree! I love love love the colors and those tiny alpha stickers. Beautiful colours in this line! And I would wear the stamps out, I think! Love these colors and I like how dainty/subtle the patterns are. Many of them can almost translate as solids if you like the more CAS look. Thanks for the chance to win! I love the colors...and those stamps! Would have so much fun with these goodies! LOVE the colors!!! thanks for a chance to win! Love the colors! I can think of a ton of layouts and projects that I can make with this collection! The colors of this line are beautiful and everything is well coordinated. Many beautiful things will be created from this line. 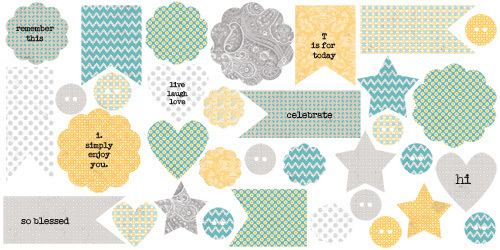 I love Lily Bee's paper lines because their patterns are just the right size to work with and not be overpowering. When I saw this new line released, I knew it was going to be my favorite because of the color combination! It is great! I fell in love with this one the first time I saw it.The colors and designs are perfectly are delightful.It looks like so much fun! This new buttercup line looks fantastic! I love it! Love the colors, the little typed elements, the stamps! Love it all! Can't wait to see it in person! I really like this color palette!!! And the stamp set is so versatile, I love it!!! I love the soft colors of this line. Love the stamps. Love the patterns. 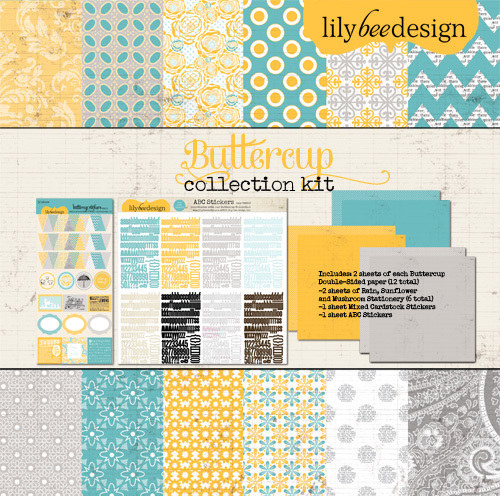 This is another fabulous lily bee set. Oooo - I definitely LOVE this entire line! The colors are one of my favorite combos, and the stamps and patterns look so versatile and fun! I love everything about this line! Lily Bee is one of my favs...I love all of their collections :) This one is awesome, I agree that it can be used for boys, girls, everything! I think the color and styling are awesome. Can't wait to get some. I think the colors are fabulous and those stamps are just great! Love your projects! These colors are FAB. I would love, love to win. This collection has been on my radar for weeks! GREAT review and great projects- thanks for sharing! I haven heard of this paper company but I sure do LOVE what I see! I've read a lot of great reviews for this line. Thanks for the chance! This collection is so perfect for little boys! And even babies; I have a 3 month old baby boy I have yet to scrap for! And that chevron text stamp is awesome! Rebeccacell at gmail dot com. Wow I just love your creations!! That photo of that baby is just too cute. 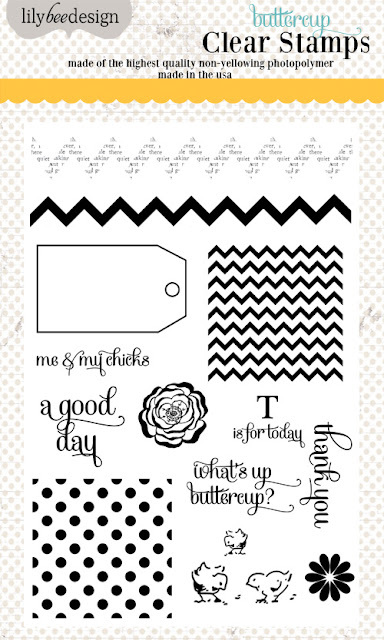 I really like this collection, especially the chevron stamps!! 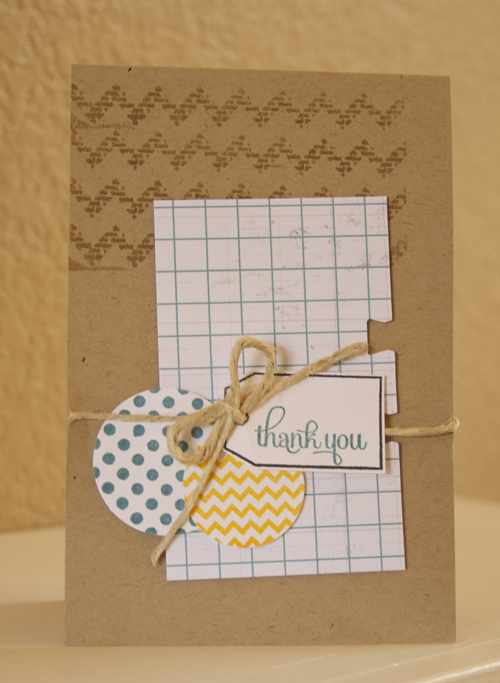 I do LOVE this collection; the chevron stamp, mini alphas, gorgeous colors and patterns. So very versatile too! Buttercup has been 1 of my top 3 favorites introduced this season. I would be ECSTATIC to win it!! I really love the chevron and colors! Thanks for the chance! Ack! I forget to compliment your projects! They're really awesome! That photo cracked me up, and your cards are GREAT!! This my all-time fave line by Lily Bee and on my MUST HAVE list right now!! Love your cute projects! !